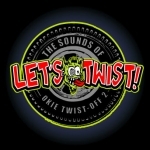 This Friday and Saturday marks the 4th annual Okie Twist-Off in OKC... It is the last time the event will be held in the Oklahoma City landmark, 66 Bowl. The Oklahoma Gazette's Joe Wertz tells us what to expect at this year's bittersweet event.